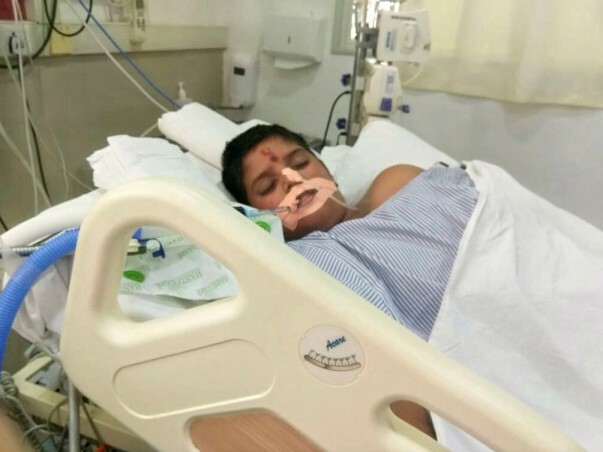 12-year-old Karthik, son of Lokesh R, was rushed to the hospital with severe Dengue and was admitted in the ICU. His condition was so severe that his organs began to fail and now he is on life support in the ICU and will continue to remain so for another 10 days until he begins to recover. The total cost of the treatment is around 8 Lakh Rs. However, the family does not have the funds to pay for the treatment and need our help. 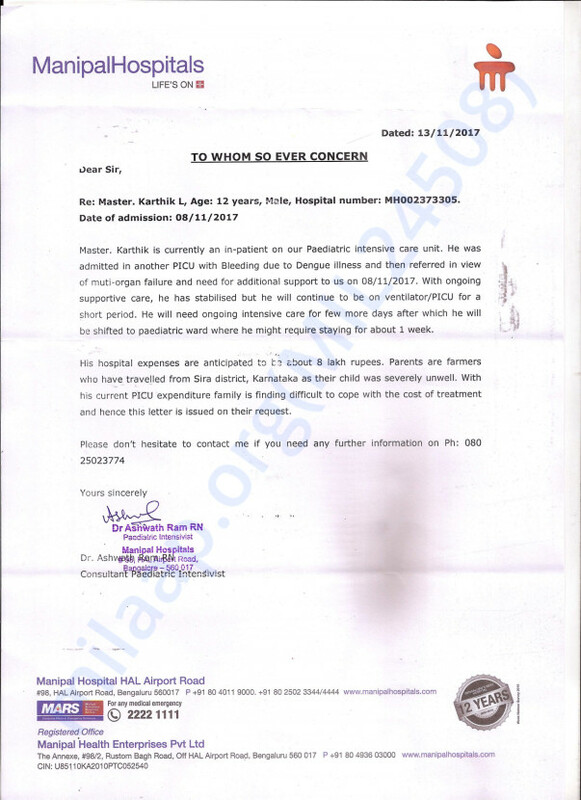 Your contribution can save Karthik and give him the treatment he deserves. Just wanted to inform you that Karthik is doing fine and has been discharged.